Burberry is celebrating its musical heritage with the launch of a dedicated playlist featuring more than 200 tracks that have defined some of the most memorable moments from Christopher Bailey’s tenure at the label. Since joining Burberry in 2001, Bailey has forged a long-standing relationship with the music industry – whether that be supporting emerging talents or celebrating the world’s greatest artists – placing music at the heart of the brand’s retail experience, catwalk shows and campaigns. 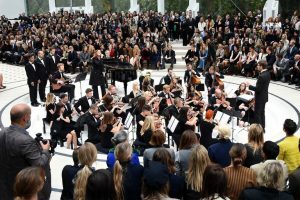 Guests fortunate enough to get a ticket to one of his London Fashion Week shows would often be treated to live performances from solo artists, bands or the occasional orchestra as his latest collection was unveiled. ’17 Years of Soundtracks’, available on Apple Music, has been entirely curated by Bailey and allows subscribers to explore and enjoy the sounds that have shaped the brand in recent years. 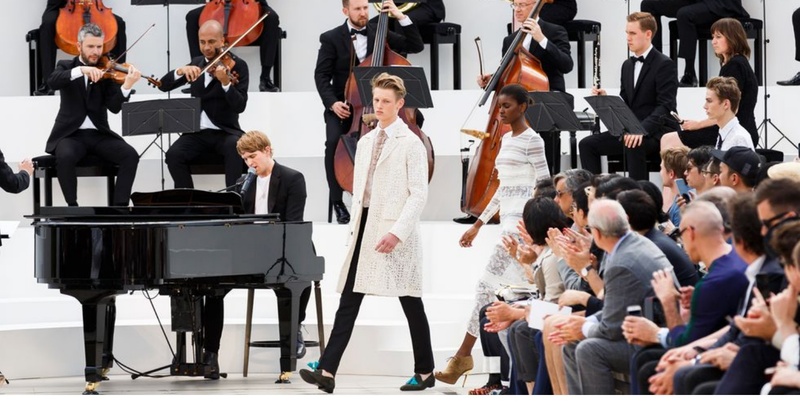 The playlist includes songs which featured on the soundtracks to his catwalk shows (featuring everyone from Adele to Elton John and Elvis Costell0); tracks from artists who performed live at Burberry events (like Tom Odell, Jake Bugg and George Ezra); and recorded interviews with some of the brand’s most notable music collaborators (including the likes of James Bay, Paloma Faith and Alison Moyet). ’17 Years of Soundtracks’ launched this week on the Burberry curator page on Apple Music, with further content being added next week – culminating with the addition of the soundtrack to Bailey’s final Burberry show on Saturday 17 February. Thomas Markle won’t be at Windsor Castle on May 19.